With the 90th Academy Awards, Hollywood and film fans around the world have officially stopped honoring the projects of 2017. 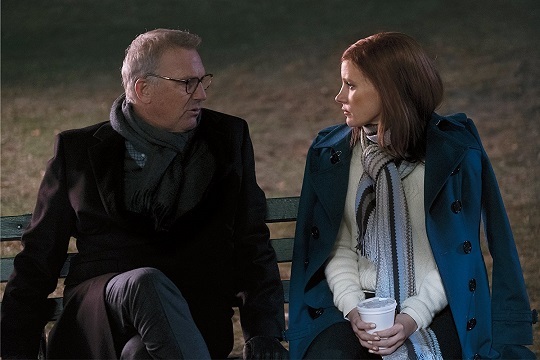 People will now turn their attention toward another year of movies, and before we know it the speculation around the next round of award winners will begin. For our own purposes though we wanted to take one more, slightly different look back at 2017 in cinema. These are films that might not necessarily have been in the Best Picture mix, but which were among the most inspirational projects of the year. 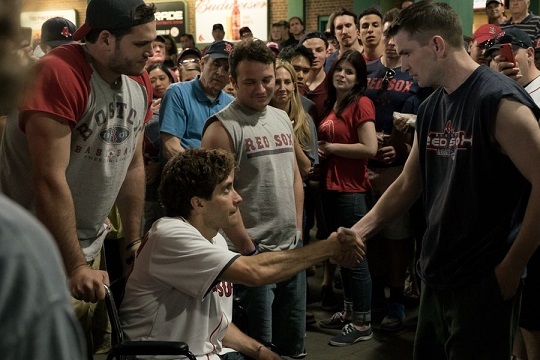 “Stronger” is the second major film made about the Boston Marathon bombing, and it’s another spectacularly inspiring one. While the events of that day were unspeakably tragic, the stories of the survivors, and of how the city of Boston (and really the entire country) pulled together are simply remarkable. One review called this a survival story that shows the best side of man’s humanity, and it’s difficult to say it any more clearly. Throw in the sheer acting power of Jake Gyllenhaal, who’s about as good as anyone else working these days, and “Stronger” is a very powerful film that will re-teach you the value of perseverance and the importance of finding the light at the end of the tunnel. Not too much needs to be said about why “Wonder Woman” was such an inspiration this year. 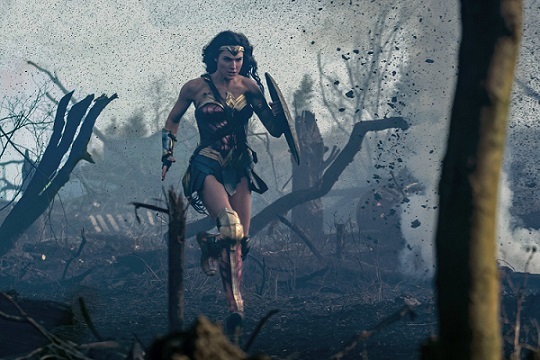 But in case you weren’t paying close attention or just aren’t interested in superhero cinema, it was the first modern superhero movie to star a female lead. It was an empowering movie for girls and young women all over the world, and hopefully a sign of more things to come in the future. 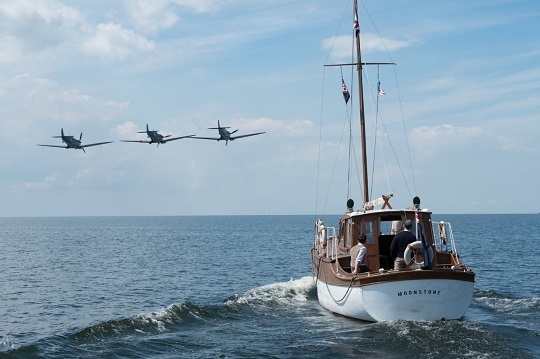 At first glance, “Dunkirk” might not look like a particularly inspiring film. It’s a tense, thrilling story about one of the more harrowing events of World War II. Hundreds of thousands of British and French soldiers were cornered at a beach in Dunkirk, just across the English Channel, with the Nazis closing in, when the British government commissioned civilian boats to help in the rescue effort. Director Christopher Nolan tells this story in a way that isn’t appealing in the traditional narrative sense but makes you feel as if you’re part of the action. And because of that sense of gravity, the moments when the British civilians band together and come through are deeply inspiring – reminding you of the incredible power of selflessness and a unified cause. “Molly’s Game” is a poker film, but a very different one based on the true story of a woman who ran underground poker games for high-end celebrities. This might not at first seem remarkable until you consider the nature of poker in the U.S. To a degree, it has a good reputation; online poker is considered by many the most safe form of gambling, and it’s fully legal in a handful of states. More broadly though, poker laws remain fairly strict, and more importantly when big sums of money become involved, things tend to happen that can raise the authorities’ eyebrows. This is what happened to Molly Bloom, and it makes for a thrilling story – though also a surprisingly inspiring one. The character’s sheer ability to work through obstacles and find success anywhere she can will boost your drive to do the same. “The Big Sick” is a nearly tragic but ultimately charming dramedy that tells the story of a young couple falling in love despite monumental obstacles. Namely, they have to overcome the young man’s family’s hesitation with his dating a white girl, as well as the fact that the young woman falls dangerously ill. Making the film all the more remarkable is the fact that it’s based on a true story surrounding lead actor Kumail Nanjiani and his wife Emily V. Gordon (the two of them having written the film together). As you can probably tell from the description, the movie will inspire many to follow their hearts even in the worst of circumstances – as well as, remarkably, to find humor, when possible, to numb tragedy. Molly Simmons is a freelance writer, blog contributor, and amateur screenwriter. She hopes to get a script to Sundance one day, but until then is perfectly content writing about other people’s movies.